FRISCO, TX - Entering the 90th minute, Forward Madison FC looked as if it would surely secure its first point in club history Saturday night during a rain-soaked match away to North Texas SC. If there are soccer gods that exist, though, they apparently decided not to allow it. 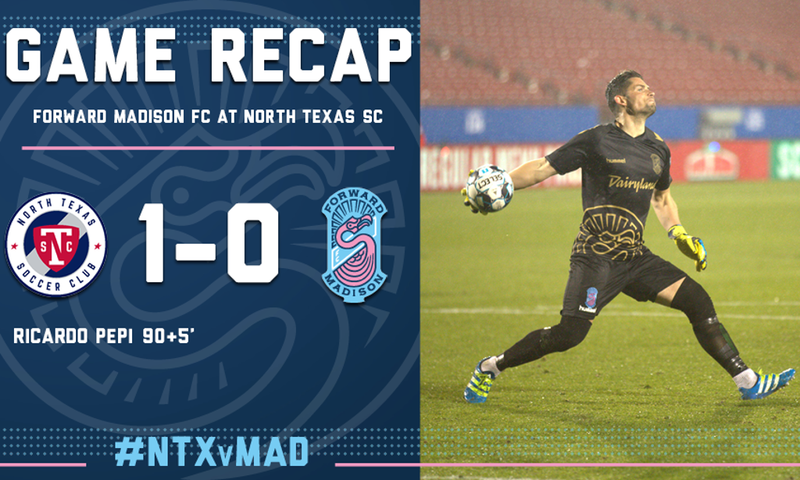 In the third minute of stoppage time, the referee awarded North Texas a penalty kick, and striker Ricardo Pepi slotted home from the spot to hand the Flamingos a 0-1 defeat. It was a tough result to take in particular for FMFC goalkeeper Ryan Coulter, who - making his first start of the season - produced five saves. On the other end of the pitch, the Flamingos had plenty of chances to score, registering six shots in total and three on target, but could never quite find the finishing touch. FMFC had to deal with a lineup shuffle before the match started, as Head Coach Daryl Shore allowed four Minnesota United loan players - Carter Manley, Wyatt Omsberg, Dayne St. Clair and Mason Toye - to temporarily rejoin their parent club for the opening of Minnesota’s 250-million dollar Allianz Field. The match was a late one, kicking off at 9:20 p.m. CT as the nightcap of a double-header with FC Dallas, North Texas SC’s affiliate team in Major League Soccer. Soon after the match was underway, Coulter found a way to put his stamp on the game. In the 10th minute, he jumped off his line to cover a bouncing ball off a corner kick; in the 29th minute, he went full-extension to punch away a half-volley shot from the top of the penalty area. The Flamingos’ first real chance came in the 32nd minute, as midfielder Jeff Michaud caught North Texas goalkeeper Carlos Avilez off guard with a shot from distance, forcing Avilez to parry the ball over his crossbar. Forward Madison had another big opportunity in the 36th minute as attackers streamed up the field on a well-worked counter-attack, but midfielder Josiel Núñez fired his shot high. For the second straight Forward Madison game, neither team had scored at the halftime break. Coulter came out strong again in the second half, sticking out his left hand to paw away another North Texas shot, then getting down well again to deny a long-range effort in the 71st minute. FMFC had a golden opportunity to finally take the lead in the 77th minute, as Michaud dished a short pass to Núñez right on the top of the penalty spot. Núñez took the shot with his first touch, trying to curl the ball with the inside of his right foot. However, he didn’t get enough power behind it, and Avilez was able to collect easily. Forward Madison continued to press on until the final moments of the match, when referee Chris Ruska signalled for two minutes of stoppage time. But the game carried on into a third extra minute, and when North Texas midfielder Brandon Servania went to ground after a challenge from FMFC captain Connor Tobin in the penalty area, Ruska pointed to the spot. Sixteen-year-old striker Ricardo Pepi stepped up to take the penalty kick and managed to push it just past Coulter’s left side. Down but not out, FMFC will return to Madison to open up a newly-renovated Breese Stevens Field for an exhibition match against the UW-Madison men’s soccer team on Tuesday, April 16. 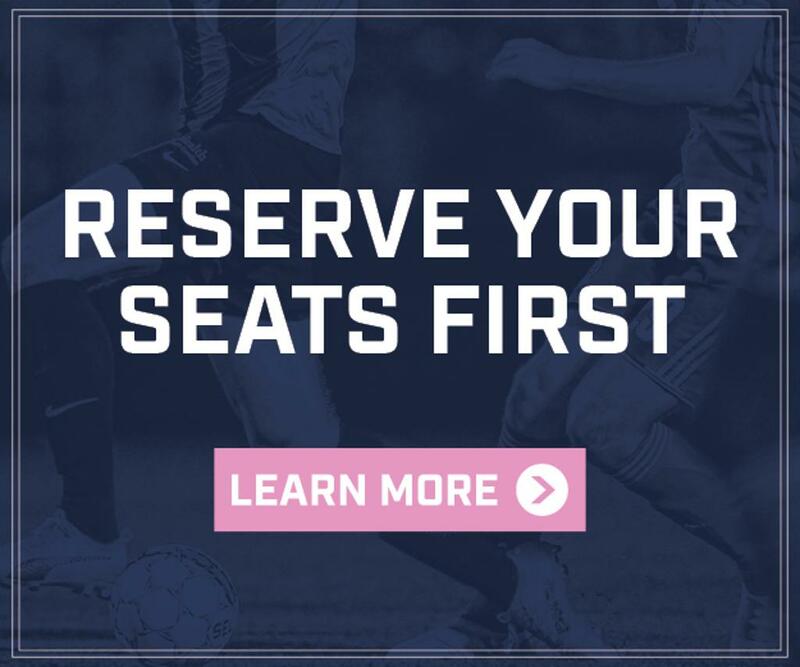 Following the game, the Flamingos will hit the road again for a Friday night clash with Orlando City B on April 19.